Penny Podolsky - Edmonton's Burial & Cremation Professionals | Trinity Funeral Home Ltd.
Penny Podolsky age 63 passed away peacefully on March 16/2016. Born in Winnipeg Manitoba but relocated with family to Edmonton Alberta in 1988. 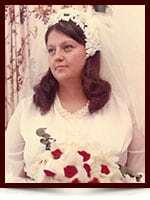 Predeceased by her mother Nettie and father Harry she leaves behind husband Doug daughter Lisa son Ken grand sons Jesse and Alex brother Ken Tchir sister in law Sally.